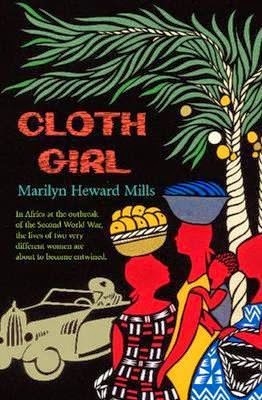 Cloth Girl is a novel set in Gold Coast today's Ghana, during the end of the British colony. Innocent fourteen-year-old Matilda, caught the eye of Robert Bannerman. A prestigious black lawyer from an important family, who knew that the only way he could have Matilda is making her his wife. Since he was already married, he made her his second wife by their tradition. Poor Matilda had no idea what was happening to her neither had she control over her life and somewhat lived in a state of confusion. Nevertheless, her family members were so excited to be associated with the Bannermans. They couldn't care less. On the other side of the colony Audrey, a British lady was on the verge of madness as she discovered that the Gold Coast was not a place for her. However, she could not take her courage in both hands and leave without her husband. Fortunately, her meeting with Matilda changed the course of her destiny. In their meeting each other, Matilda also came to discover the actual meaning of love, as well as realising that she, in fact, does not feel anything for her husband. Though at that time she had already borne him five children (there around). Will she deny her fate and surrender to real love? "This is a book I would highly recommend to all those who love to read and all those who enjoyed Buchi Emecheta's The Joys of Motherhood". Please click here to read his review on this novel. The Joys of Motherhood by Buchi Emecheta is my favourite novel and in my opinion far enjoyable than Cloth Girl. Have you read both novels? What is your opinion? I have read it and had the odd feelings you had. Not a bad book though as a debut. Cheers! Geosi, yeah absolutely not a bad book as a debut. I think the publishers here did not do their homework. Thanks for this great recommendation! I love all your reviews! We need them. Do you know of any other great book review sites of African or African Diaspora literature? Hi Denwiddie, Thanks for the compliments. I know quite a few African Literature review sites. Check out my bookish website and bloglist by scrolling this blog by your right, you will find many of them. It sounds like a really interesting read from the blurb. I really loved reading "Cloth Girl". I think I left a comment on it on Goodreads. One of the best debut books I've read in a long time. hmmm yeah, I read your review on Goodreads. I did not really enjoy most of it. However, it does not take away the fact that it was a very well written historical novel that reflects on the African history before independence.